Birthdays are all about celebrations, smiles, love and wishes; and with exciting Gifts from MyFlowerTree, everything is possible. 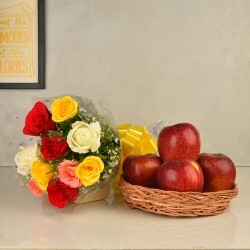 Send delicious Cakes, fragrant Flowers and thoughtful Gifts to your loved ones on their Birthday and make their Birthday the most beautiful one. 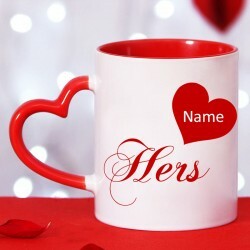 Show them your love in the form of amazing Gifts. Formerly known as Baroda, Vadodara is a city in Gujarat. It has many monuments that trace its historical journey like the Kirti Mandir of the Gaekwad dynasty, which ruled until 1949. It also has murals by Bengali artist Nandalal Bose. Another important structure is Tambekar Wada which is a 4-story wooden townhouse with 19th-century murals depicting scenes from the Mahabharata epic poem. If you wish to send a special surprise to someone living here on their Birthday, you can send gifts to Baroda with MyFlowerTree. Make their Birthday amazing with something from our amazing Birthday collection of gifts. 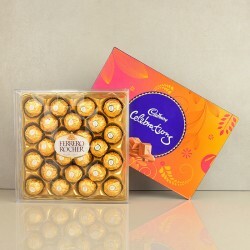 Have a look at our Birthday Gifts collection and you will be impressed as well as mesmerised by them. 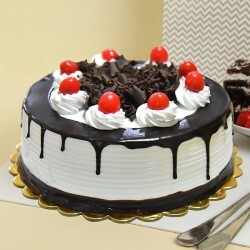 With online birthday cake delivery in Baroda, you can send a special surprise to your loved ones. Other than the amazing flavours that we have, we also offer various personalisation and customisations as well. 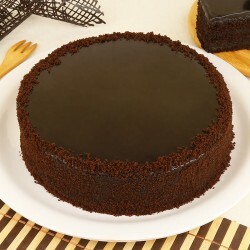 You can choose from the shapes (rectangle, square, circle, heart-shape), you can even get your Cakes made without Sugar and Eggs. Another thing that you can do is to get a cherished photo printed on your Cake. 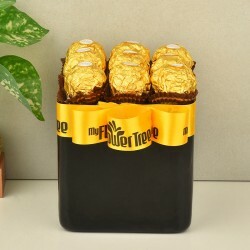 Get customised gifts in Baroda from MyFlowerTree. 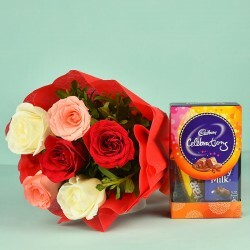 Just like Cakes, online flower delivery in Baroda also gives you ample opportunity to surprise your loved ones on their Birthday. All the flowers that we have are handpicked from the best farms around the world. 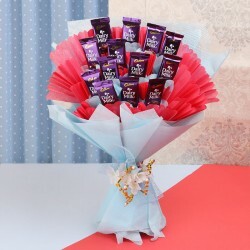 These beautiful Flowers are wrapped in beautiful sheets and tied with the ribbon of love for your special people. These are the most romantic Birthday Gifts. 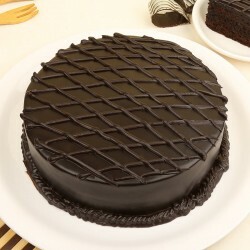 If you want to send a grand Birthday surprise to your loved ones on their Birthday, we suggest that you send them a Combo of these Cakes and Flowers. Not only are two gifts better than one but you will be saving a lot of money as well. Some of the Flower and Cake Combos that we have are: Half Kg White Forest cake with a Bunch of 50 Red and Pink Roses, a 4 Kg Dark Chocolate Cake with a Bunch of 25 White Roses, a 2 Kg of Red Velvet Cake with a special heart-shaped arrangement of Asiatic and Oriental Lilies, a 1 Kg Oreo Cheesecake and a bouquet of 12 assorted Orchids and Birds of Paradise, a 4 Kg Red Velvet Cheesecake with a bunch of 60 White Carnations. If you forgot to place your order in advance, you don't have to sweat about it. You can still get your presents delivered at the door-step of your loved ones on their Birthday. With MyFlowerTree's Same Day Delivery service, you can never be late. Just place your Same Day Delivery order before 5 p.m. and get them delivered on the Same Day. 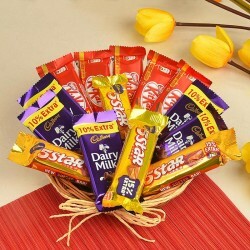 Don't miss on any chance of spreading the smiles on the faces of your loved ones with us. All the last minute calls will be entertained and your gifts will be sent. 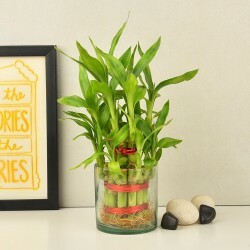 Products in this category have been rated 4.8 out of 5 based on 101 reviews.